Knowledge and experience go hand in hand, and this serves as the core value behind SEO Summit 2016. A setting for learning and connecting with the SEO community, this year’s meeting saw some of the industry’s gurus who shared their expertise on today’s trends and best practices. As involvement in the SEO community and pursuit of excellence are a part of our company’s promise, TrueLogic is happy to be a participant of this year’s SEO Summit. We take this participation as a drive to manifest our expertise, as well as trade ideas with professionals in the field. SEO Summit 2016 covers comprehensive topics to arm digital marketing professionals with actionable strategies. Touching both basic and advanced skills, SEO Summit 2016 provided the groundwork for those who are new to the industry, and those with years of experience to back them up. The event featured keynote presenters, each with established expertise in the field: Sean Si, CEO and Founder of SEO Hacker; Grant Merriel, Co-founder of Conversion UP; Dan Petrovic, Director of Dejan SEO; Jason Acidre, CEO and Founder of Xight Interactive; Wotjek Mazur, Co-founder of Elephate.co; and our very own General Manager Bernard San Juan III. Old-school SEO might still play a role in specific strategies, but the digital landscape does not revolve around this anymore. The digital space is ever-growing, and staying ahead of the curve provides a smooth pace for development. SEO Summit 2016 brought together digital marketing influencers to give insights on where the industry is headed. The entire day was packed with concepts and topics that equipped SEOs and digital marketers for industry changes. We learned how to build the best content with the strategies presented by Grant Merriel. Jason Acidre provided us with his thoughts about link building. Dan Petrovic shared his ideas on creative SEO, while our very own Bernard talked about advanced competitive site audit and digital marketing strategies. Of course, who would forget about how content optimization works with Wojtek Mazur’s keynote. Sean Si wrapped up the sessions with his presentation on maximizing conversions. We’re not one to pass up an opportunity where we can meet other specialists. 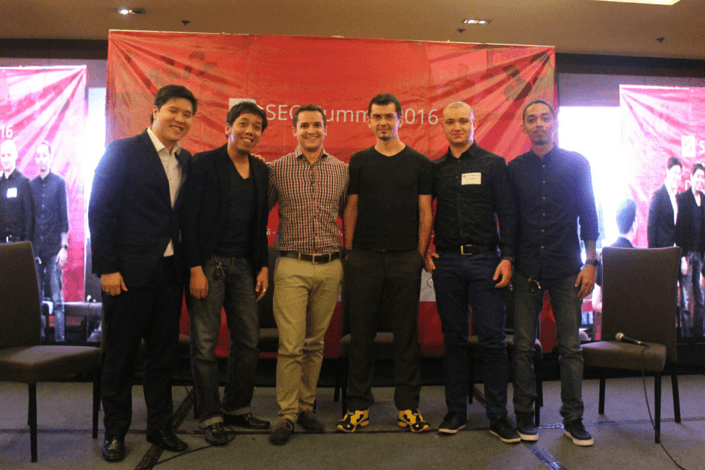 SEO Summit 2016 is not just an event for sharing knowledge; it’s the perfect venue to be in touch with the people who make up the SEO community in the Philippines. 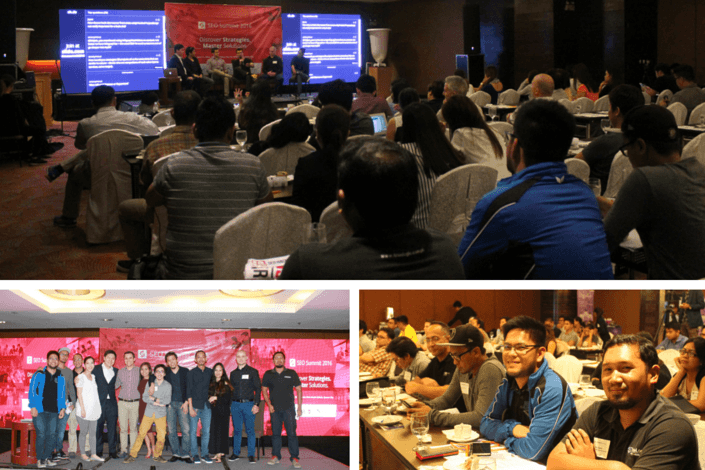 This year’s summit had over a hundred participants—a segmented crowd of digital marketing professionals, agency start-ups, and delegates who also attended last year’s event. SEO Summit 2016 brings a unified agenda for the industry: to disperse knowledge that will lead the local SEO community towards a new age of digital marketing. We can’t wait to be a part of the next SEO Summit and see how far the industry has come.